a productive system that provides for long term stability and a diversity of wellbeing outcomes. Diverse organic farms all across the landscape, local processing and marketing of organic Fair Trade products, community-based tourism and other sustainable productive activities advanced by the Talamanca Initiative exemplify new capacities developed and put into practice by the local people. The multiple benefits and long term viability of the diverse family farm systems create stability and security, encouraging the extra effort necessary for success. The tree-based agro-ecosystems provide income, sustainable livelihood, food, medicine, construction materials, high agriculture biodiversity, habitat for native biodiversity, cultural values, clean water, fertile soils, healthy air, CO2 sequestration, and other elements that contribute to empowering the current and future generations. The grassroots organizations that were created through the initiative are the most visible manifestation of the capacity that has been developed. When the initiative began, there were no viable organizations in the region. Through the community nurseries and the many collective action processes that grew out of them, people learned how to create and manage community organizations, by doing it. People learned that they have a right to have a voice and to use it through the practice of the nurseries, where all decisions were collectively made by all of the participants. ​The many community based organizations like Stibrawpa, Asodecc, Asacode and the APPTA community groups are evidence that people all across the landscape have developed a wealth of relevant competencies. 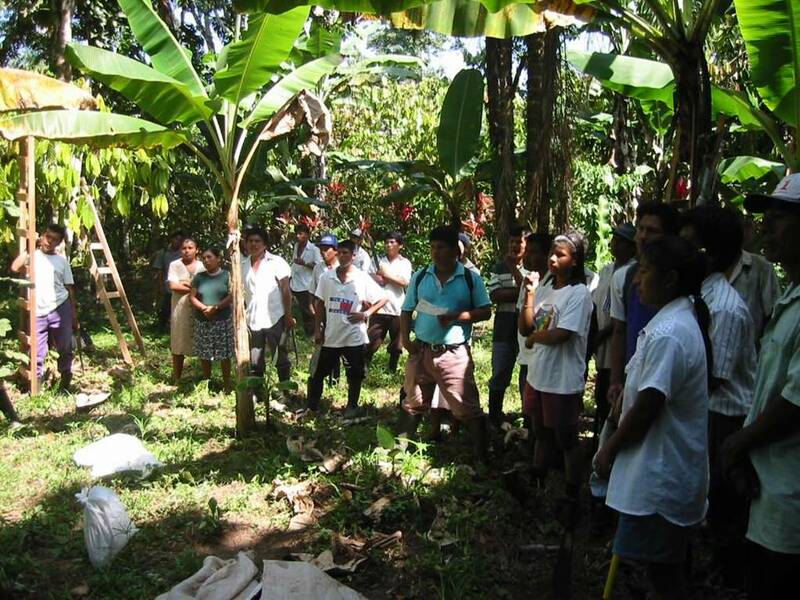 Vital regional scale organizations like APPTA - the Talamanca Small Farmers Association, the Biological Corridor Association, and the Talamanca Training Center demonstrate their capabilities daily, providing services to the communities and being a voice that gives people the opportunity to contribute to a better today and tomorrow. ​From the very first day, all Talamanca Initiative activities have uncompromisingly promoted the active participation of women and marginalized populations. One of the very few rules insisted on by the initiative was that everyone had an equal right to participate and that women’s participation in activities and decision making be prioritized. This is manifested in Stibrawpa (the Yorkin Women’s group, which now accepts men’s and youth participation! ); in APPTA’s board of directors, which traditionally is majority female, with a woman president; and in women’s leadership of the Biological Corridor Association. The leadership assumed by women and indigenous people at all levels of the process are testament to the knowledge, skills and capacities developed. The initiative has contributed to community actions addressing basic human needs, like housing, schools and clean water systems. A regional program of solid waste recycling and primary school environmental education in 30 communities contribute to local management of their resources. People learned to do these things by doing them, creating a healthier human environment and the capacity to maintain and grow their activities. Women, men and youth from across the landscape developed capacities through participation in the diversity of practical training programs, activities and exchanges: in sustainable organic agriculture, crop processing, building and managing ecotourism lodges, guiding, small business management, credit / banking, strategic planning, construction, animal husbandry, reforestation and environmental management. Two Leadership Training programs focused on helping local people develop their capacities as community leaders. Gaining access to a wealth of new useful agro-biodiversity, especially the many new species of fruit trees, is the essence of empowerment. Trees that people establish on their own land become their personal patrimony and intellectual property. They provide tangible benefits over many years. They contribute to resilience. They give people more commercial and subsistence options. Families have the power to plant more, and to share them with others. It enriches them and all of their descendants. It strengthens their agro-ecosystems, and makes it more likely that they will be sustainable over generations.